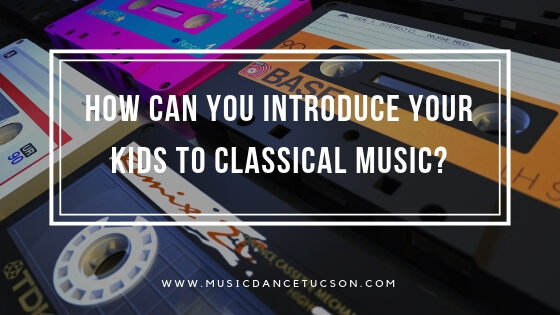 How Can You Introduce Your Kids to Classical Music? Music is good for children’s brain development. When listening to music, multiple parts of the brain work all at once to process and understand the musical elements such as its melody and rhythm. It is best if parents can encourage their children to listen and learn music of all kinds including classical music. Studies suggest that classical music have many positive effects on children like memory development, creativity, and ability of express themselves. Also, by learning classical music, your kids can get educated about the different periods in history, the greatest composers, their techniques, and so on. Learning classical music can undeniably open doors for your kids, so, it is definitely worth the try. In this blog, we have gathered some tips to help you in introducing your children to classical music and make them enjoy their musical adventure early in life. Expose them to classical music in a way they can enjoy it. The first thing you need to do when introducing your children to classical music is to make them interested in it. We all know how first impressions last. You can start small by letting them watch cartoons having musical background in it. In their spare time you may play classical music which they can dance with. One interesting piece you can try is “In the Hall of the Mountain King” by Camille Saint-Saens. Later on, as they progress in getting themselves familiar with how classical music sounds, you may want to take them to live classical music performance for them to truly appreciate it. Enroll them in a good music school where they can learn and play instruments of their preference. When you finally get them interested in classical music, your next step is to make them play classical music. To be truly engaged to the classical music world, playing an instrument can be the best way. While you can also have them learn musical instruments at home, signing them up for music classes can take their learning to the next level. At Music and Dance Academy of Tucson, we offer music training in private lessons and groups for all ages- from beginning to advanced. We emphasize quality, the development of music skills, confidence and self esteem through innovative teaching methods that make learning music enjoyable and rewarding. Take the next step with us!